The substrate must be clean, dry and dust free. It then needs to be primed using the Water Based Primer, which will help reduce the absorptive capacity of the substrate. The insulation is fixed to the substrate using either the EWI-210 EPS Adhesive, EWI-220 EPS Basecoat or EWI-225 Premium Basecoat. Due to the fact that the EWI-220 can be used as both a basecoat and an adhesive, it is the ideal choice for use with EPS insulation, offering a long-lasting and secure adhesion. The adhesive is applied to the back of the insulation boards which are then secured to the wall. EPS insulation easily upgrades the thermal properties of the building, ensuring a reduction in thermal transfer. EPS is cost effective and is an ideal solution for brick substrates. Mechanical fixings are used as a secondary method of securing the insulation to the substrate. Plastic fixings should be used for EPS insulation. The basecoat reinforcement layer is applied to the surface of the insulation boards and consists of the EWI-220 Adhesive or the EWI-225 Premium Adhesive. The reinforcement layer creates a smooth surface before applying the render. 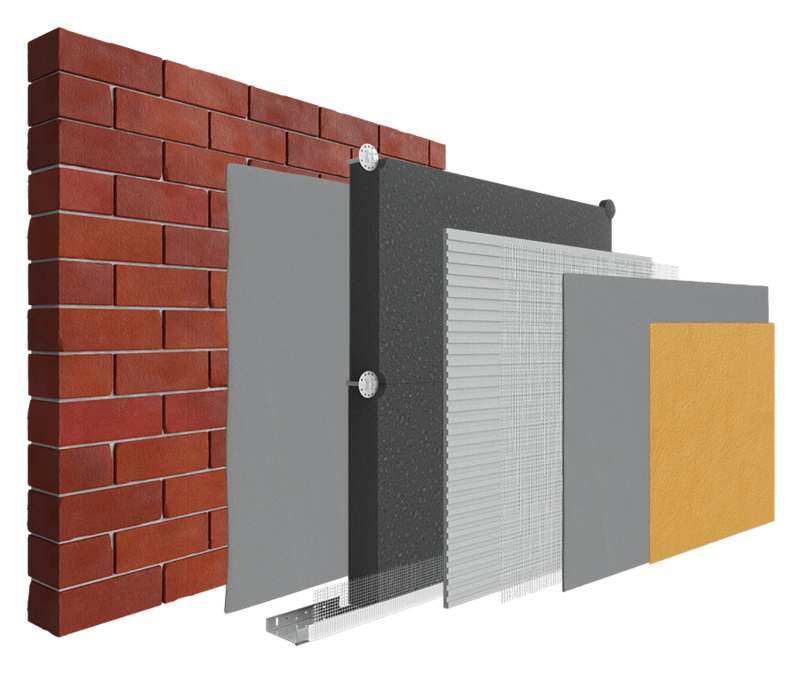 Our standard classic EPS insulation system is comprised of EPS insulation on a brick/block substrate; this system is cost effective and easy to install. Using our EPS Adhesives and Plastic Pin Fixings achieves an advanced insulation system with minimised thermal bridging and a prolonged lifespan. A choice of decorative thin coat renders are available to seal the system and achieve an aesthetically pleasing finish.